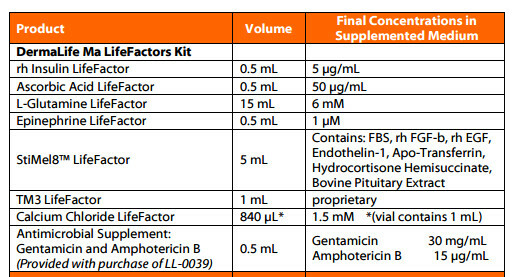 DermaLife Ma culture medium has been optimized for culturing Adult Human Epidermal Melanocytes in a low-serum, PMA (phorbol myristate acetate) -free, Cholera toxin-free environment. DermaLife Ma supports the growth of Adult Human Epidermal Melanocytes over a period of at least 10 population doublings. 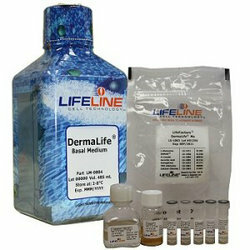 Every production lot of DermaLife Ma Medium is extensively tested using Normal Human Adult Melanocytes. 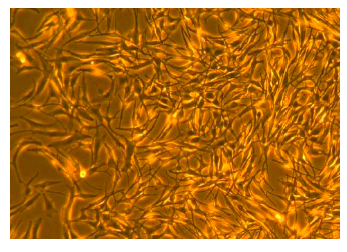 DermaLife Ma Medium grows Adult Human Epidermal Melanocytes (HEMa) through at least 10 population doublings at rates that outperform other commercially available media while maintaining excellent cell morphology. In comparisons with other commercially-available media, DermaLife Ma shows superior proliferation and maintenance of L-DOPA Oxidase activity. Shown left: Adult Human Epidermal Melanocytes, passage 3, 10 days after inoculation with 5,000 cells/cm2 (100X). Shown below: Adult Human Epidermal Melanocytes achieve proliferation for > 40 days in DermaLife Ma but do not proliferate or survive beyond the first plating when grown in media offered by other media suppliers.